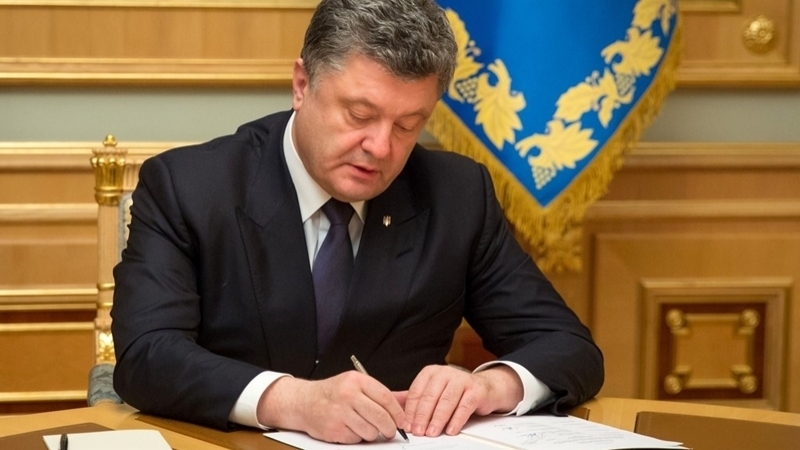 In honor of Independence Day, Petro Poroshenko accorded state distinctions to a number of Ukrainian citizens. In particular, the President awarded the Order For Merit of ІІ Degree to the Deputy Chairman of the Mejlis of the Crimean Tatar people Ilmi Umerov, the Order For Merit of III Grade to the Director of the state enterprise "Crimean House" actor and filmmaker Akhtem Seytablaev, as well as Deputy Chairman of the Mejlis of the Crimean Tatar people Akhtem Chiygoz. World champion in professional boxing Vladimir Klichko was awarded the Order of Freedom. Actor of drama, leading stage master of the National Academic Drama Theater of Ivan Franko Bogdan Benyuk was awarded the Order For Merit of I Degree, and his theatrical colleague Ostap Stupka - the Order For Merit of III Degree. Petro Poroshenko also awarded the title "People's Artist of Ukraine" to the Head of the rock band "Plach Yeremii" Taras Chubay, and the Chief Artist of the publishing house "A-BA-BA-HA-LA-MA-HA" Konstantine Lavro was awarded the title of "Honored Artist of Ukraine".